MORE than 150 asylum seekers, who have been held on a Customs vessel at sea somewhere north of Australia, are being held in "torturous conditions", the Australian Lawyers Alliance has claimed. The claim followed statements by the Abbott government in documents lodged with the High Court on Wednesday regarding the conditions on board the vessel. Those 157 asylum seekers on board were apparently being held in separate rooms and allowed out only for meals and "three hours" of daylight every 24 hours. ALA spokesman Greg Barns said the conditions breached several United Nations conventions on civil rights, the treatment of prisoners and cruel and unusual punishment. However, the government has not clarified the specific conditions under which the asylum seekers are being held, beyond court documents. Mr Barns said the conditions would "accurately be described as cruel and inhuman punishment". 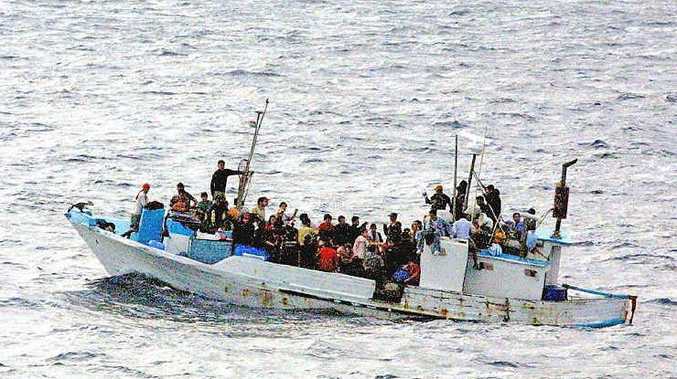 But a spokeswoman for Immigration Minister Scott Morrison said the government rejected the "baseless allegations" made by the ALA, declining to clarify the conditions on board.